When it comes to Safety of Kids, there can be no chances taken. A child needs to be taught ways to predict danger in an efficient yet simple way, which would make them more aware, instead of being panicked. 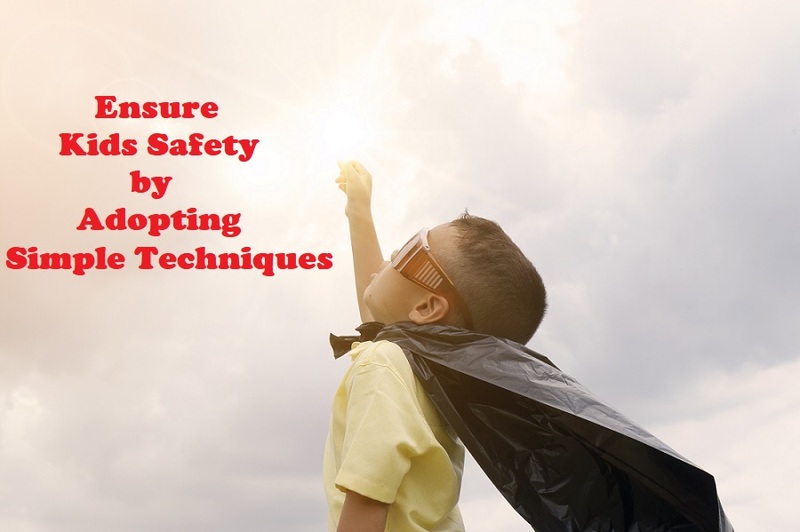 Considering the age of a child and developmental level, the safety skills must be inculcated which one requires at that point in their life. The best way to teach any skill is to demonstrate how it looks, and then practice it until the child can use it alone. A child should be allowed to speak up for themselves, otherwise if they are constantly dictated what to do, they might never be able to choose and fight their own battles. A kid should be provided with examples and opportunities to portray a strong body language and a firm voice so that they can defend themselves. A child should be taught to recognize suspicious behaviour. Instead of telling them to be scared of an unknown person and run away from them, a child must be taught to detect danger and uncanny situations. Instances like, a stranger offering candies, asking for directions, asking for personal information, showing inappropriate behavior; kids should be aware of such circumstances and never succumb to the given scenario. They should be taught to stay away from such strangers and never offer or accept any help from such people. At home, a child should never be allowed to open the door. They should be under strict supervision of a professional, incase their parents aren`t home, and they should never be allowed to open doors and allow people inside, who are not their family members or relatives. At an early age a child should be taught to spell and write their full name and at least know the name of one parent. They must know their address and telephone numbers of their parents and emergency numbers like 9-1-1 or 1-0-0. A child must be taught to identify unknown people around them, and they shouldn`t be allowed to mix with strangers who act too friendly. Whether it is a girl or a boy, safety is meant for everyone, and they should be taught, not to trust any stranger blindly and avoid making any kind of physical contact. A child should be suggested that, if they ever feel they could be in danger, they must use the fear instinct and leave immediately. If their gut instinct strikes them that something is wrong and uncomfortable, they must exit without any delay and their parents must support their decision. Every parent fears danger and any kind of harm to their kids, especially considering the prevalent news and incidents. Thus, they should waste no time and teach their kids basic safety precautions from an early age itself. There really is no wrong time to start teaching kids about online safety, dangers around the house and how to deal with any situations that arise with strangers. The conversations and lessons should be ongoing, and the main agenda of a parent is to make their child aware and alert about uncanny situations.